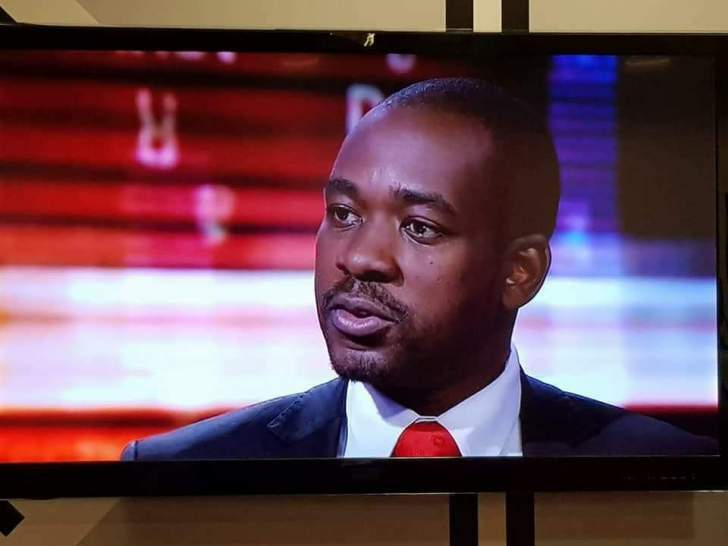 Chamisa said the MDC leadership had agreed to seek political solutions to the standoff with Mnangagwa and the party's actions in the following days would be influenced by the consultations with the grassroots that were underway. The opposition leader was addressing a "thank you rally" in Chitungwiza yesterday where he also revealed the party would hold its 19th anniversary at Gwanzura Stadium in Harare on Saturday. "We are now taking the war to Africa. "We will take our evidence to the African Union court," he said. "We are just using the legal route to give sufficient support to our political route," Chamisa said. "This means, according to section 59 of the constitution, we have the right to demonstrate if we are not happy with anything." "We are consulting the people on the way forward and next week, we are going to hold our 19th anniversary and our leadership had suggested that we do a swearing-in of the leader who was voted by the people," he said. "When I am sworn in, I will take my own way and Mnangagwa will take his and we will see who the real leader is." "There is no stability out of a rigged election, there is no economic confidence and certainty. "Mnangagwa is a sun which is setting, I am the sun which is rising and the setting sun must give way to the rising sun for the benefit of the country to move forward." "Very soon we are going to reintegrate ourselves back to the original MDC. There is no more no more PDP, it's dead, no more MDC-T, it's dead, there is a new united MDC with all the leaders part of it. "They will try to say this and that, but we will remain united, I will be leader with others backing me as per what [the late Morgan] Tsvangirai told us. "We will go to congress when the time comes as you will see one of the best forms of internal democracy in our congress. "We must have a democratic culture, we do not want to see violence in the MDC, we don't want internal vices that are akin to Zanu-PF, and tribalism. "This rally is part of a series of rallies we are holding across the whole country, we call them thank you victory rallies to thank you for your votes. "I am a man of God, a man of faith, a man of the cloth, I will never congratulate a lie," he said. "I will never congratulate fiction, it's sinful before my God to congratulate Mnangagwa whom I know did not win the election. "If he won I would have been the first one to say congratulations, but he did not win. "We got more than 2,5 million votes according to the results that we have that will come out soon, the truth will come out that Mnangagwa was way behind. "We swept all the local authority elections and have 26, that means we control 81% of the taxpayers leaving Mnangagwa with 19%."